Jakarta (Indonesia), 17 May 2017 – Communities from around Indonesia will join a global conference in the nation’s capital tomorrow to discuss solutions for the country’s critical peatland landscapes. Local communities will be at the center of discussions among policy makers, scientists, business leaders, civil society representatives and other stakeholders at the Global Landscapes Forum: Peatlands Matter event, led by the Center for International Forestry Research (CIFOR), with Global Landscapes Forum (GLF) partners the World Bank and UN Environment. 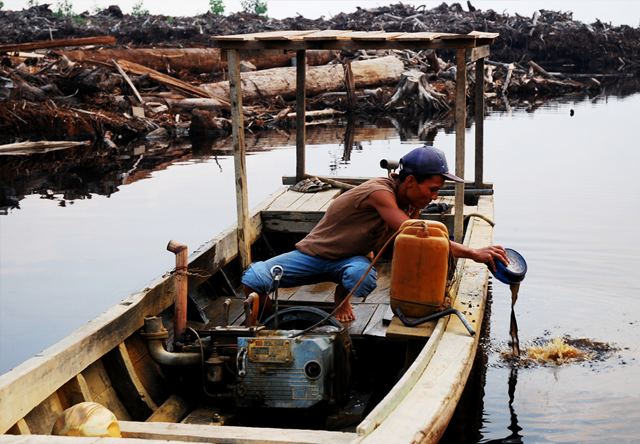 Peatlands are home to tens of millions of people in Indonesia and around the world. They support local livelihoods, are home to diverse and endangered species, and are vital sources of clean air, water and other ecosystem services. They are also the world’s largest carbon sinks, holding up to 600 gigatons of global carbon stocks. “We need to support local communities in finding the best way forward, addressing most, if not all, of the Sustainable Development Goals,” says Peter Holmgren, CIFOR’s Director General. The Forum is designed, among other objectives, to integrate community-level voices in the global climate and development agendas. Discussions will cover peatland landscapes around the world, including in Indonesia, Peru and the Democratic Republic of Congo. The event will be opened by HE Siti Nurbaya Bakar, Minister of Environment and Forestry for the Republic of Indonesia.